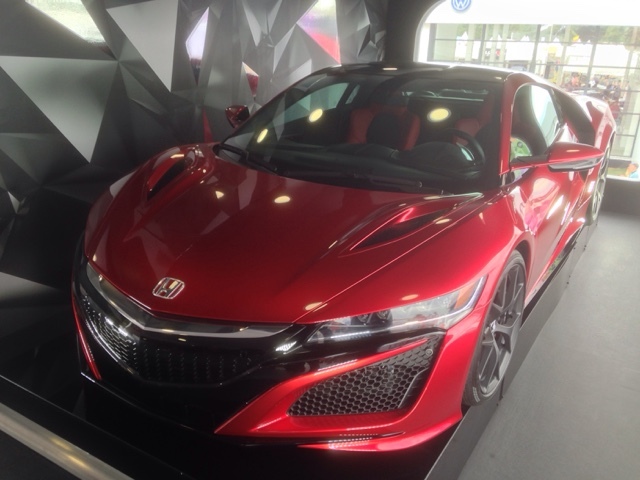 Spotted in the media area at the top of Honda’s oversized toyshop stand was this svelte & mean-looking creation. 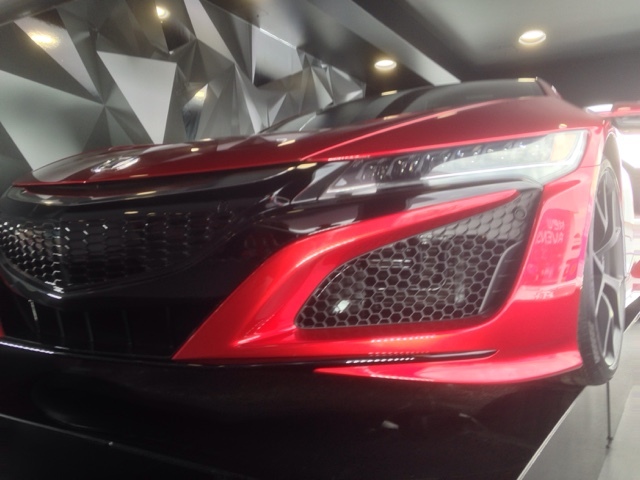 At an estimated retail price of £100k when it launches – most likely towards the end of 2015 – Honda’s all-new NSX hypercar isn’t exactly what you’d call cheap (for a Honda at least). However, when you consider that it’ll be belting out a not inconsiderable 550bhp from a petrol-electric hybrid powertrain that’s located within a lightweight aluminium/carbon-fibre bodyshell, you’ll be going an awful lot quicker in this thing than your cooking Jazz shopping trolley..